LoseIt! is no longer sharing health data with Facebook. 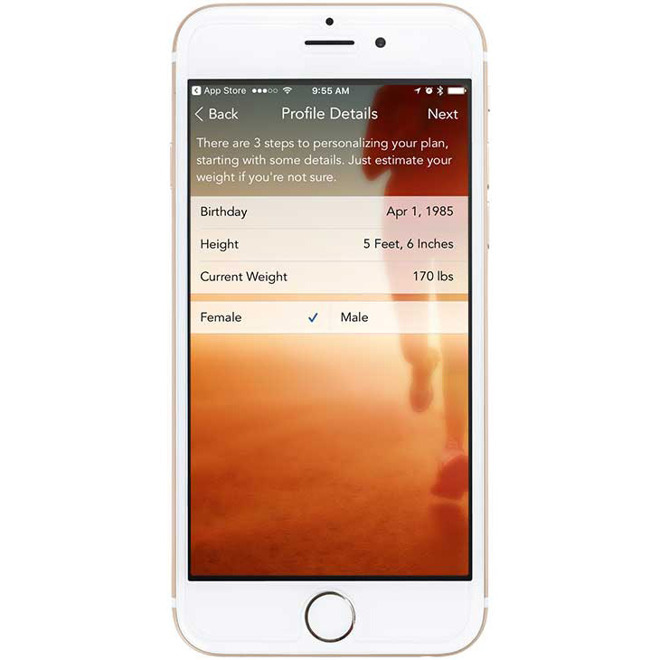 Most of the named apps are health and fitness related, some better-known titles being Lose It!, Flo Period & Ovulation Tracker, and BetterMen: Workout Trainer. Also implicated though are two real estate apps, Trulia and Realtor.com. One of the letters, directed to Facebook CEO Mark Zuckerberg, calls for information about all of the companies that have sent mobile user data through Facebook software in the past three years, according to the Wall Street Journal. The missive also asks for the categories of shared data, and a list of New York residents who had their data collected. All of the requests were sent out by the Department of Financial Services. A Facebook spokeswoman said that the company is reviewing its letter, and insisted that it maintains strict policies. "It's common for developers to share information with a wide range of platforms for advertising and analytics," the spokeswoman explained. "We require the other app developers to be clear with their users about the information they are sharing with us, and we prohibit app developers from sending us sensitive data. We also take steps to detect and remove data that should not be shared with us." In reality though Facebook has been embroiled in a range of privacy scandals during the past year, such as ones involving two of its own apps -- Onavo Protect and Facebook Research -- which landed it in hot water with Apple. Another is Cambridge Analytica, which Facebook found to be harvesting data without user consent for the sake of building voter profiles. The practice was discovered and shut down in 2015, but only made public a year ago, triggering investigations in both the U.S. and the U.K.
Facebook and the U.S. Federal Trade Commission are now negotiating a fine that could cost the former billions of dollars. Analytica clients included the 2016 Presidential campaigns of Donald Trump and Ted Cruz, and Mexico's Institutional Revolutionary Party. Well let's hope this helps with some privacy reform and some hefty fines to all the parties abusing. While I disagree with much of what New York State does, I can really get behind this. I find Facebook's behaviour reprehensible and disgusting. I wonder if some of these app makers are directly owned or associated with Facebook. Is New York state demanding info or requesting documents. Sending letters instead of subpoenas is merely posturing. You request first, subpoena if they don't cooperate. That's SOP for investigations.